Details: This is book 4 in the Harry Bosch series, and is Book 4 in the Harry Bosch Universe. I'm way behind in my HBU reviews - I've read all the way through Blood Work, which is the 8th book in the HBU. Nonetheless, to discuss The Last Coyote, I must begin with the obvious and somewhat heavy-handed metaphor in the title. 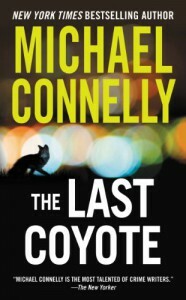 Harry Bosch is the last coyote: solitary and lonely, an anachronism in the urban jungle of Los Angeles. This particular book is all about Harry Bosch. We begin with Harry on suspension for throwing Pounds, LAPD brass, through a window. In order to be reinstated, he needs to be cleared for duty by a psychologist. 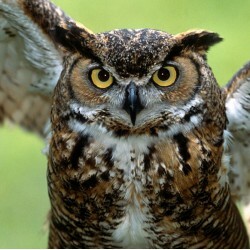 During his suspension, Harry decides to work on solving the three-decades-old murder of his mother, Marjorie Lowe. Because he's Harry Bosch. I really like this book, although the ease with which Harry puts together the truth about a case that went cold when he was 11 is somewhat, erm, unbelievable. He's a good detective, but really, that's a bit hard to swallow. The identification of the murderer, as well, was very anti-climactic. In addition, I have to add that the idea of Harry's mother, who was, not to put too fine a point on it, a young and attractive woman who was a prostitute, catching the eye of not one, but two, extremely prominent Los Angeles attorneys (including Harry's father, the late, great, Mickey Haller, who was a well-known defense attorney) is, again, difficult to square with the realities of Harry's life. It's very Pretty Woman, which makes it implausible. And this isn't just Harry's rose colored glasses view of his beloved mother - this is the factual background that Harry uncovers. Overall, this is a solid installment, and it clears up the mystery of his mother's murder.